The lessons learnt from the first harvest at my place in January (reported in the last newsletter) resulted in a seamless process for the second cutting and milling operation in mid-June. I have chosen LDS Silviculture Pty (Lundesang) as the contractor. 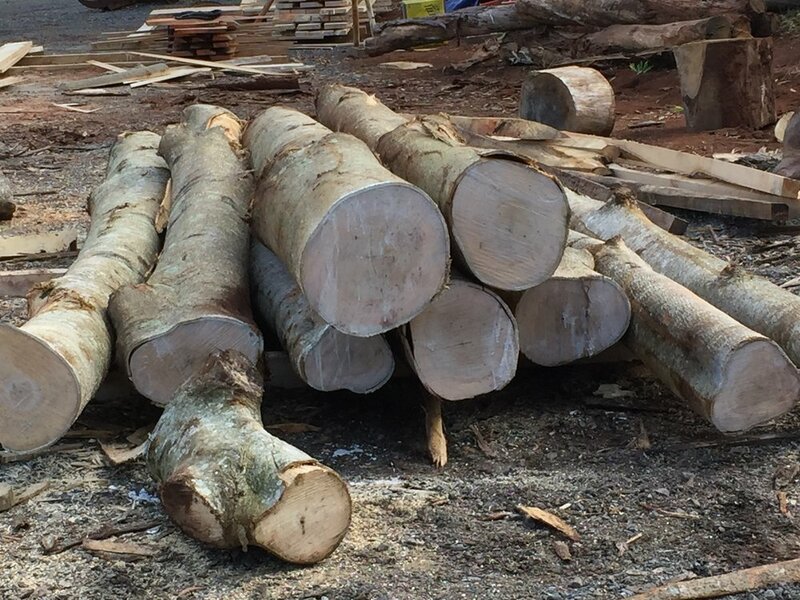 They have been very supportive of our project from the beginning and were able to offer me a complete service from felling to milling. (And in my case the offer of temporary storage of the timber). I decided to harvest only silver quandong in this instance, given the cool dry weather, and the lowered risk of bluestain getting a hold. 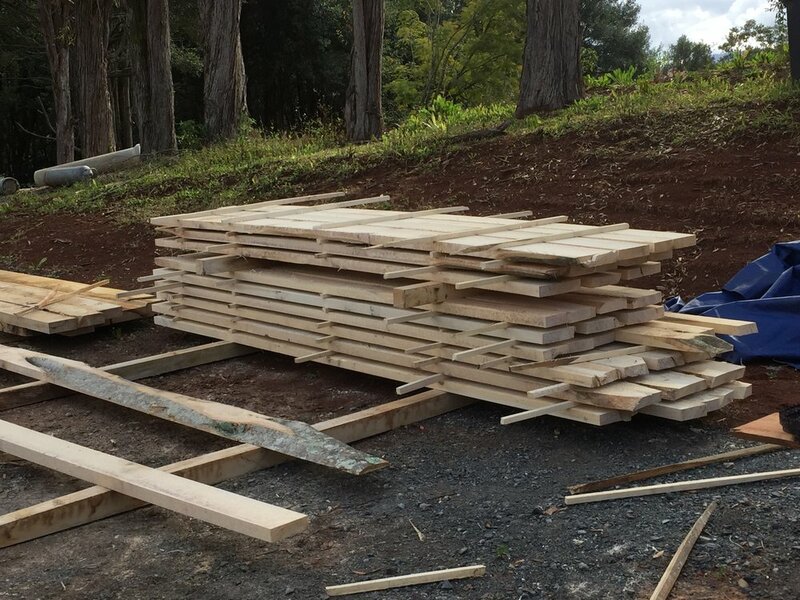 The outcome will become clearer as the timber dries over the next few months. The operation began as in the previous harvest, using a throw-bag to send a thin cord over a high branch, to which the falling rope from the winch is attached and then hauled up. Happily, due to some highly skilled felling techniques from the Lundesang team, collateral damage from felling these large trees has been minimal. 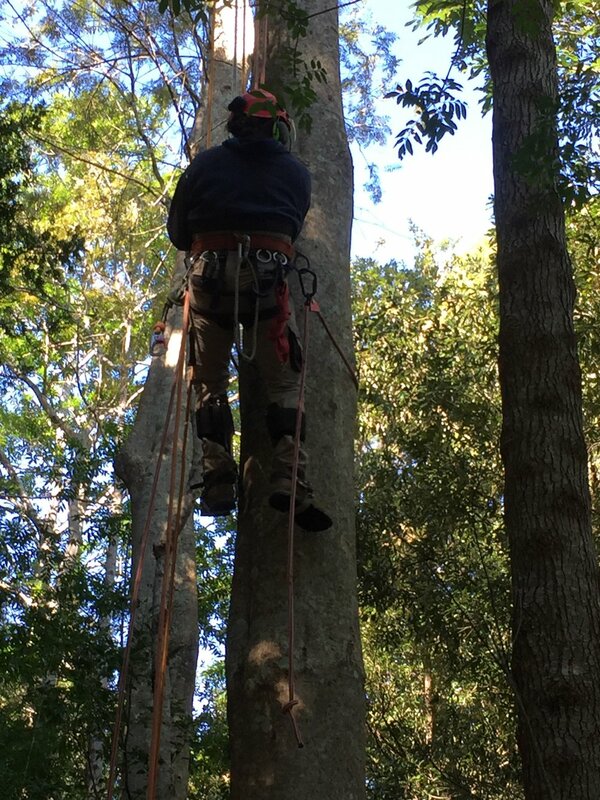 A couple of the trees had to be climbed, since the lowest branches were beyond the reach of the throwline… I later measured one of the trunks at around 15 metres clear stem before the first branch. The technique of using a sling and pulley around a suitable tree, to offset the pull rope, worked well once again – safely placing the tractor and winch at right angles to the fall. I took a slow-motion video of the above tree falling, which is interesting to watch. I will try to get a link to it onto the website sometime soon. One unfortunate lesson I have learnt is becoming obvious as the internal state of these magnificent trunks are revealed as they are opened up by the bandsaw mill. The extent of defect from poor early pruning practice is evident. I delayed pruning until the DBH was more than 150mm. 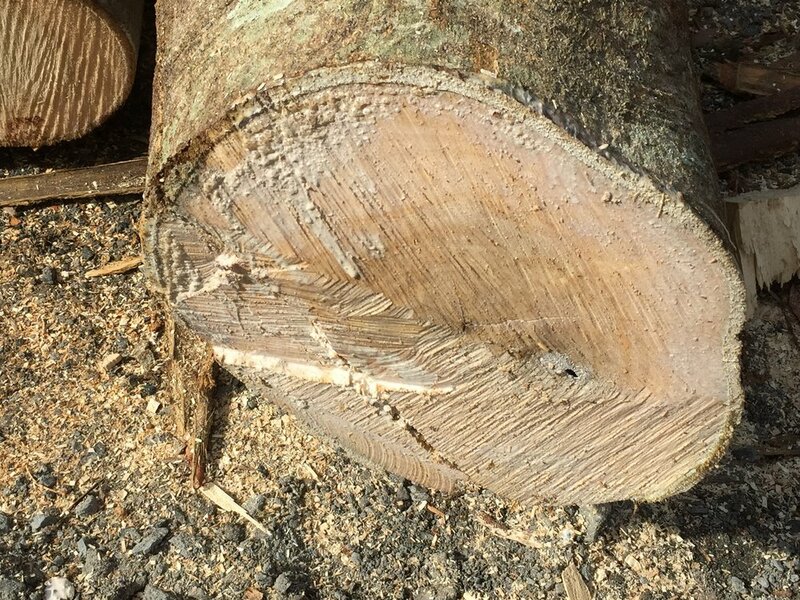 The result in many cases is a log core with wound defect more extensive than I had hoped! 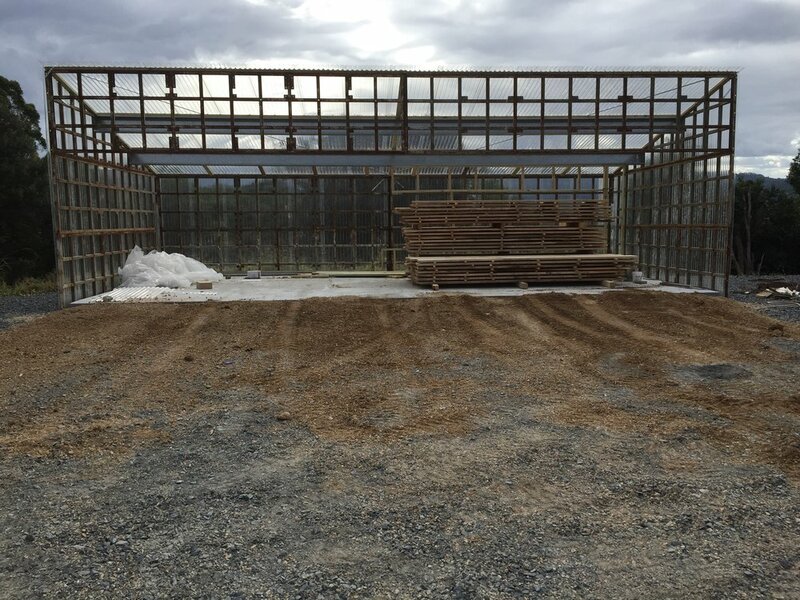 The resulting timber is now safely under cover, and will air-dry for a while before being finished in the new Solar kiln at Lundesang to a merchantable moisture content of around 12%. The kiln at Lundesang is currently under construction, but already watertight, so it is being used as temporary shelter for my timber. The final Construction work will carry on around it!